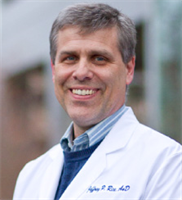 Jeffrey Rice, AuD practices as an Audiologist in Medford, OR.He graduated from BYU; Arizona Health Sciences and has been practicing since 1991. Services Jeffrey Rice, AuD provides Audiologist services in Medford, OR. An Audiologist is a specialist who works to identify, diagnose, treat, and prevent diseases, injuries, or defects of the ears. They are concerned with maintaining good hearing and using corrective devices to assist those who are hard of hearing or deaf. Please call Oregon Ear, Nose and Throat Center at (541) 779-7331 to schedule an appointment in Medford, OR or get more information.